FRIDAY, July 8, 2016 (HealthDay News) -- Good news for acne sufferers: The U.S. Food and Drug Administration has approved an over-the-counter retinoid drug for acne -- the first new active ingredient available without a prescription since the 1980s. The drug -- Differin Gel 0.1% (adapalene) -- has been in use in a stronger form as a prescription acne treatment since 1996, the FDA said Friday. It is applied to the skin once a day and approved for people 12 and older. "Millions of consumers, from adolescents to adults, suffer from acne," Dr. Lesley Furlong, of the FDA's Center for Drug Evaluation and Research, said in an agency news release. "Now, consumers have access to a new safe and effective over-the-counter option." As many as 50 million people in the United States have acne, the majority of them teenagers and young adults. The telltale pimples form when hair follicles of the skin clog up, marring the face, neck, back, chest and/or shoulders. The common skin condition can cause scarring and lead to poor self-image, depression and anxiety, the FDA pointed out. Retinoids, which contain vitamin A-like chemicals, are used to treat a variety of skin conditions. The FDA cautioned that women who are pregnant, planning to become pregnant or breast-feeding should ask a doctor before using Differin Gel 0.1%. No well-controlled studies of the drug have been conducted in pregnant women, and some other retinoid drugs have been shown to cause birth defects, the agency said. The gel's approval followed five clinical trials in people with mild to moderate acne. One study showed that absorption is limited, a finding that supports over-the-counter use, the FDA said. Those using Differin Gel 0.1% should avoid sunburn. Also, skin may become irritated during the first few weeks of use, the agency said. Dr. Doris Day is a dermatologist at Lenox Hill Hospital in New York City. She said, "Differin Gel has had an excellent safety profile and will be a great addition to the over-the-counter options for those suffering with acne who are unable to get to a dermatologist." Day noted that the over-the-counter version is a lower concentration of the medication available by prescription at 0.3% strength. 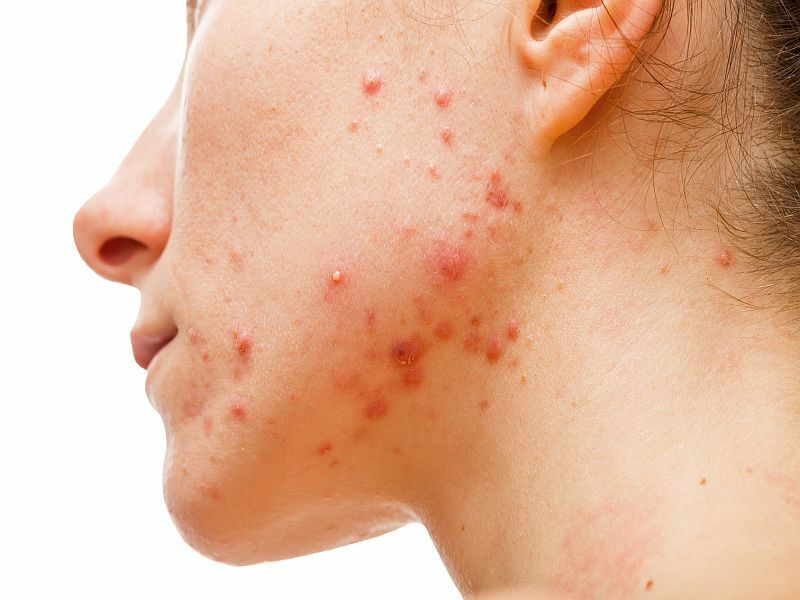 "You still need to be aware to see your dermatologist if the acne does not clear or if the acne is scarring," she added. "And, it is very important to use sunscreen on a daily basis when using this product." Differin Gel 0.1% is distributed by Galderma Laboratories L.P., in Fort Worth, Texas.